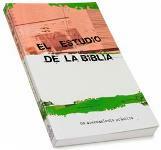 A series of 12 Bible studies that assists the Biblical student connect with the material in a direct and practical way. It helps by assisting in answering questions such has what the passage is saying, what it means, and how this can be applied to every day life. It includes practical studies of the lives of Joseph, Moses, Jesus, Paul, and other Biblical personalities. Paperback. 250 pgs. 5 ½ x 8 ¼ in.